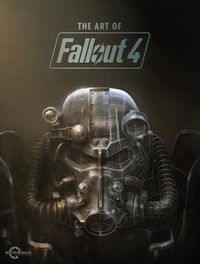 Bethesda Game Studios, the award-winning creators of Fallout(R) 3 and The Elder Scrolls V: Skyrim(R), welcome you to the world of Fallout(R) 4 - their most ambitious game ever, and the next generation of open-world gaming. The Art of Fallout 4 is a must-have collectible for fans and an ultimate resource for every Wasteland wanderer. Featuring 368 oversize pages, never-before-seen designs, and concept art from the game's dynamic environments, iconic characters, detailed weapons, and more -- along with commentary from the developers themselves.